The client is a leading technology provider to real estate companies. The client required to develop the application to simplify the document management process for the Real Estate Sale/ Purchase. Real Estate domain experience of STPL placed STPL as the vendor of choice for the client. Application has two key user roles- Document Processor and the Supervisor. Each one of them have own registration and login process. Data Processors pick up the document provided to them into their inbox. In box contains the scanned/ faxed documents uploaded by people managing the sale transaction. The Real Estate agents will have the ability to upload the documents/ notes/ memorandum etc. as and when these documents are received by them. Shows inbox of a particular user. When click on the inbox name the following window will open. The application has a unique feature of reviewing a scanned/ faxed uploaded document and splitting the same into multiple documents. Likewise there is also a feature of merging one or more documents into one. 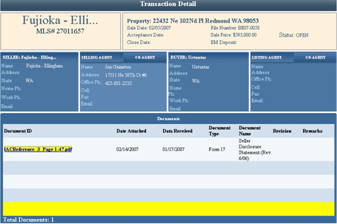 Documents are connected to different Sale/ Purchase transaction. Data Processors will process the documents by opening the scanned/ faxed files and reviewing/ reading them to determine what type of documents are these and are these correctly belonging to the corresponding Seller/ Buyer combination. 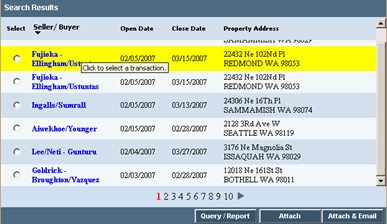 By clicking on the Seller/Buyer name a transaction details window will open which shows the details of the transaction. By the above process the document file for a Seller/ Buyer combination is built. A check list of document required is maintained and as and when document processor makes an entry against the receipt of a document against the check list an alert is sent. Once all document required for the transaction is complete, on the dashboard status file complete status is provided along with the file alert. The application required understanding or processing of PDF documents generated by a scanning and fax process. Page control, deletion and addition and merging of scanned documents were some of the key challenges in this project. The application was also be integrated to the dash board application being developed for the same client.